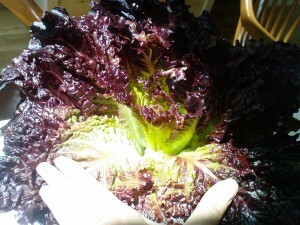 Check out the pics my friend Peggy sent from the Gabriola Island weekend Farmers Market. Thanks for the delicious pics! Check out your local farmers market for funky food that tastes amazing. This entry was posted in Farmers Market, Food and tagged Farmers Market, gabriola, lettuce on June 29, 2009 by local delicious. I think the face of farming is changing. I was in a little town outside Cleveland, OH recently and took in the weekend farmers market. It was a small event by booth numbers, but bustling, and in talking with many of the vendors it became clear that it was also a highly successful event. It usually takes several years to pick up a following, I was told, but the Chagrin Falls Sunday farmers market was an instant success when it started last year and was immediately profitable for the farmers involved. I spent some time chatting with various vendors and was intrigued by what I found. First, there are lots of old farms and experienced farmers in the area. At one booth, the second and third generation of farmers with a 50+ year old farm was manning the booth. That is a lot of history right there! Another family affair had two generations and 12 years behind their banner. In contrast, I also met a couple of young, newbie farmers. One with only a year and another with two years behind them respectively. 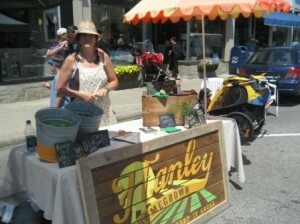 Kelli at Hanley Homegrown particularly stood out, both with her enthusiasm and her innovation. She’s growing assorted greens. And making delicious, unique jams. 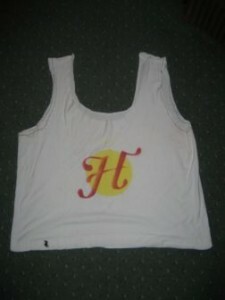 And making shopping bags from old t-shirts (we share an interest in the concept of reuse before recycle). Oh, and when the appropriate greens start popping up, she’ll be putting bundles of herbs together and selling them in soon-to-be salsa packages. Kelli stood out not only because of her energy and creativity, it was also her fresh approach. I’m a marketing specialist by trade — well, really, it courses through my veins and I can’t stop myself — and I couldn’t help wondering what kind of havoc she’s going to wreck on the staid, old produce-piled-on-tables image some people have of farmers markets. And I smile. It’s about time. See, Kelli is her target market. Like her contemporaries she’s young, engaged, creative and knows what she wants: local, delicious, healthy, sustainably farmed food. I suspect she’s going to make that happen. This entry was posted in Farmers Market, General and tagged Farmers Market, Ohio on June 23, 2009 by local delicious. Sometimes when I wander the farmers market I see interesting food, but I’m not always sure how to cook it or how to incorporate it into my menu plan. Pork lover, foodie, and newly launched food blogger Chris Flett of The Hanging Pig instead let his finds at the local farmers market inspire his culinary capers. After a recent visit to the Vancouver West End Farmers Market, Flett’s inspiration for a fabulous-looking pork roast came from the dried fruit and fresh herbs he found there. His most recent post, Minor Surgery on a Major Pork Roast, shows step by delicious step instructions on the making of a feast. Pork lovers of the world unite. This entry was posted in Farmers Market, General and tagged Farmers Market, the hanging pig on June 16, 2009 by local delicious. 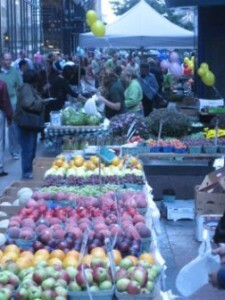 A recent business trip found me in Minneapolis where I took in both the weekly and daily farmers markets. I love that the Minneapolis Farmers Market comes to town once a week, right in the midst of the business district. The weekly market stretches for several blocks along Nicollett Mall, a lengthy pedestrian/transit-only street, making it easy for workers to access on breaks and lunch. Which they did, in droves. The stalls were full of fabulous produce, fresh flowers, and a variety of local food products bison jerky, honey and salsa. 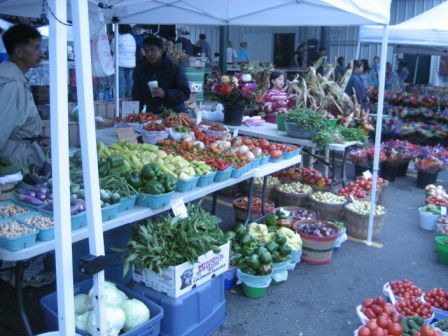 If you want to take a quick trip, there is also the daily farmers market, about a mile outside the downtown core. It is much larger and offers a huge selection of produce, food products, crafts, clothing, and jewelry. The Saturday market is not as easily accessible by transit, but the multitude of stalls and sheer volume of goods make it worth the trip. 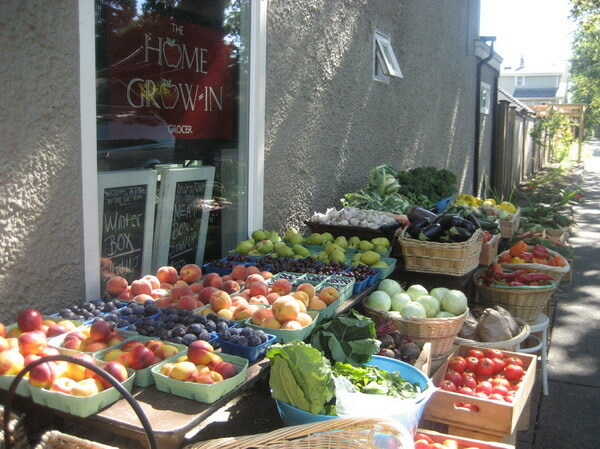 While the Vancouver Farmers Market is restricted to local products, the Minneapolis versions also allow resellers with non-local produce and wares. While it may fly in the face of a more narrow definition, the larger overall size and greater number of options at the Minneapolis market draws out many, many more vendors and attendees than I’ve seen at a Vancouver market and the season is 26 weeks long. In giving consumers so much choice, the market is more mainstream and therefore more accessible to Joe Public. 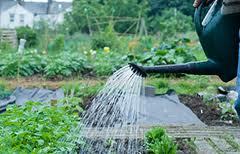 The benefit may be that even people who may not normally think about eating local do, because it’s there. And that can only help support the local agricultural economy. This entry was posted in Farmers Market and tagged Farmers Market, Minneapolis on November 13, 2008 by local delicious.